If you are an application developer e.g. someone developing a server-side application using Java or .NET or any other programming language which uses a database like Oracle and Microsoft SQL Server or a junior DBA then you must learn these database technologies to effectively work in your Job. Even though your organization might have DBAs or Database Administrators to help you with the database, more often than not, it's application developers who end up writing SQL scripts to create data, upload data, query data, and writing complex stored procedures and triggers to implement application functionalities. DBAs job mostly does database installation, access control, security, and other database admin stuff. Both Oracle and Microsoft SQL Server are a very popular database and many organization uses them for storing their data. They also have their own SQL language e.g. PL/SQL and T-SQL which enhances SQL and allow you to do more powerful stuff by creating SQL scripts. If you want to learn Oracle and SQL Server then you have come to the right place. In this article, I am going to share 5 free Oracle and SQL server courses you can take online to learn these technologies or improve your knowledge. I have been sharing free resources e.g. online courses and book from quite sometime now and if you are the first time here then you can search through this blog to find out free courses on Java, Python, Linux, Angular, Spring, and many more technologies. I have a passion for learning and not long ago books were my main source of learning. Whenever I wanted to learn a new framework or programming language, I just buy a couple of books and start with that but ever since I started learning from online courses on Udemy I have never looked back. They are the best way to learn new stuff. Btw, if you are just looking for the best course to learn SQL online, irrespective of any vendor-specific database stuff then The Complete SQL Bootcamp by Jose Portilla is definitely worth joining. It uses PostgreSQL but mainly teaches ANSI SQL which runs on all kind of relational databases. Anyway, let's come back to the topic. I have used several databases in my careers like MySQL, Oracle, SQL Server, and PostgreSQL. Whenever I change the project, I work in a different database which forced me to learn many of them to properly do my job. As an application developer, you have to know SQL as well as the database you are working with. Just knowing SQL is not enough if you are working in Microsoft SQL Server. You must know the little bit about Microsoft SQL Server itself and the query language it uses i.e. 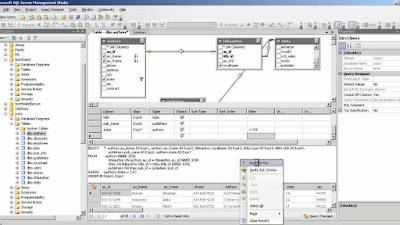 Transact-SQL or T-SQL. Same is true for Oracle and MySQL. 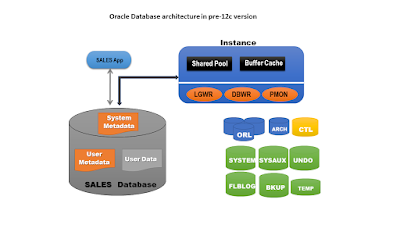 Good knowledge of PL/SQL is required to work effectively on Oracle database e.g. to write SQL scripts, generate reports, upload and download data etc. These free courses are great to start with Oracle and Microsoft SQL Server. They are not the most comprehensive or provide in-depth knowledge but they will give you enough detail to perform your day-to-day tasks. Oracle is one of the most popular relational databases of all time. This free course introduces Oracle SQL to anyone who is interested in getting into Oracle SQL Development e.g. application developers and DBAs. This is a basic course and starts with SQL so if you know SQL already then you may feel bored with the slow pace of the course. It's not the best of the Oracle course you will see but the most important thing is its free and provides a decent introduction of Oracle SQL. In short, join this free course only if you are starting with scratch otherwise head to the next course which is more interesting and provides some useful tips and tricks while using Oracle SQL Developer, a tool most of use to work with Oracle database. This is an awesome course to learn Oracle SQL Server, an IDE or tool which allows you to connect to multiple Oracle database and run SQL query against them. It's like SQL server Management studio or TOAD, another popular tool to connect and work with Oracle database. In this course, you will learn how to Install and configure SQL Developer to run in your desired language e.g. English or Spanish and only with the features you need. You will learn how to create database connections, execute commands and scripts and learn to display your results in a way that makes your work easier. The course also teaches you how to export data in different formats using different methods and how to use code templates and snippets to write code easier and faster. 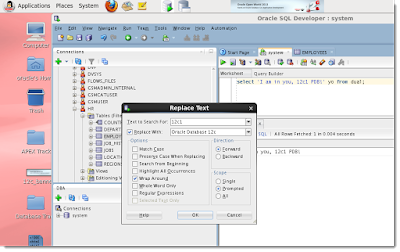 It's important to know your tool to become a better developer and that's why I highly recommend this course to the programmer who uses Oracle SQL Developer tool to work with Oracle Database. It's free so you have nothing to lose. This is an awesome free course to start with Microsoft SQL Server. Whether you are an application developer or an aspiring DBA, you will benefit from this course. It's very detailed and introduces you with many parts of SQL Server e.g. SQL Server Management Studio (SSMS, which allows you to learn T-SQL and execute queries. SQL Server Integration Services (SSIS), which automates the conversion of data. SQL Server Reporting Services (SSRS), which allows for the creation of reports. You will also learn about Microsoft SQL Server exams and where to go to learn more and gain some real-world experience. In short, a great introductory course on Microsoft SQL Server for anyone who wants to learn SQL Server and T-SQL. You should join this course to start your SQL Server journey, it's also free so you have nothing to lose. This free course is specially designed for IT professionals who want to become a SQL Server DBA, which is a very lucrative career. I have many SQL Server DBA friends in London and USA which are making good money as consultants and inspired many people to get into Database administration. This course will teach you everything you wanted to know about becoming a SQL Server DBA but were afraid to ask. The primary purpose of this course is to give people a sample of what the SQL Server administration is all about, what are the skills and information you need to become a SQL Server DBA. You will also find some guidelines as to what to expect from the job, and get some hands-on experience in installing and navigating through the SQL Server management studio. You might know that different database vendors have different SQL dialect to use in their database, which provides additional functionalities on top of SQL. 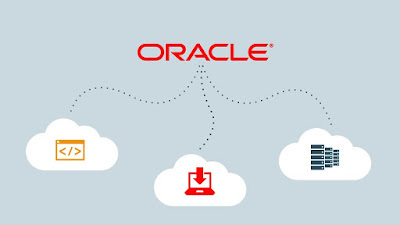 For example, Oracle has PL/SQL and Microsoft SQL Server has T-SQL which provides loops, operators, and functions to write powerful SQL server scripts and stored procedures. This free course will teach you those advanced T-SQL querying concepts, which will allow you to write complex SQL Queries. This course covers advanced concepts like Views, Triggers, Dynamic Queries etc. The T-SQL Scripts for all demos are uploaded. The course about 2+hours and has assignments at the end of each concept. That's all about some of the free online training courses to learn Oracle and Microsoft SQL Server. These courses not only teach you the basics of Oracle or SQL Server but also the SQL dialect they use e.g. PL/SQL and T-SQL. If you are an application developer or junior DBA working your way to learn these technologies, these courses are great to start with. As I have said, online courses are a great way to learn a new skill like SQL or Programming language. One more reason I spend more time learning with online courses nowadays because they are much cheaper than books, you can get courses on just $10.99 or $9.99 on Udemy on their flash sales. I also found many online courses on Udemy where people share their personal experience, which is the most effective way to learn things. But, I still read books mostly to learn the concept in-depth but I really find online courses great to start with new technology. How to join more than two tables in a single SQL query? Thanks for reading this article so far. If you like these free online courses to learn Microsoft SQL Server and Oracle database then please share with your friends and colleagues. If you have any questions or feedback then please drop a note. P. S. - If you are learning Oracle to get certified then I also suggest you take a look at The Complete Oracle SQL Certification Course, which is specially designed to do well on the Oracle SQL Certification.